A cute little hummingbird enjoying the shade on a hot and sunny day. 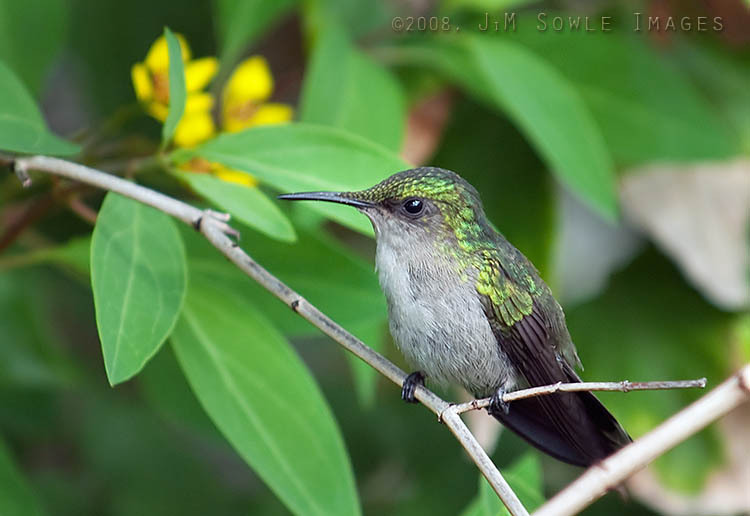 We're not sure, but we think this may be a (female) Ruby-throated Hummingbird. Please let us know if we're wrong!